Series PEC Pneumatic Toggle Clamps feature the widest range in clamping force in its class and the ability to lock in closed position for the last 6° of rotation. Multiple output shaft options allow the clamp arms to be mounted on either or both sides. Series PEC Pneumatic Toggle Clamps are ideal for holding parts in welding and assembly applications. 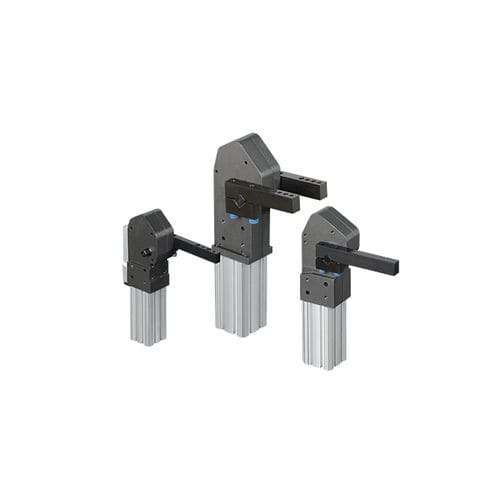 Widest range of force for pneumatic toggle clamps in the industry, self-locking internal threads throughout, switches mount directly to clamp cylinder, endures harsh environments, superior delivery.